Trade levels to help you identify support and resistance that you can use to day trade or swing trade the S&P Emini Futures or SPY. If you are a day trader or swing trader you can use our trade zones for either big or small moves to trade and make money. We give you all the current open gap levels and also the current naked virgin points of control that you can use for day trades. 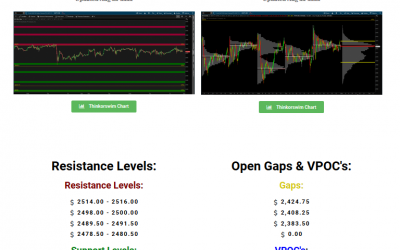 We give you the 4 most current support and resistance zones with open gaps and naked vpoc's that you can plot on any chart. 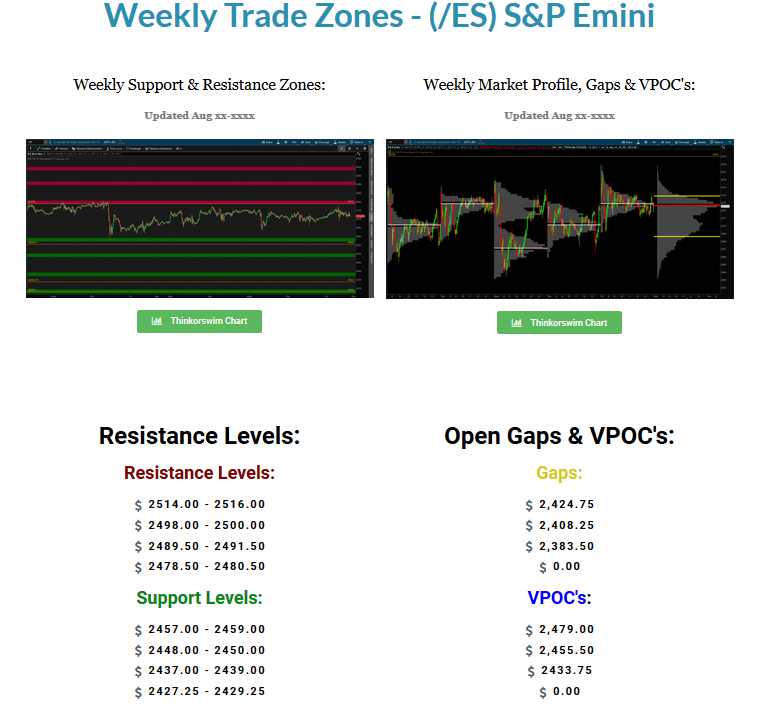 The “Support and Resistance Weekly Trade Zones” are Trading Levels updated every weekend for the S&P 500 Emini Futures. These Trading Zones are good for the following weeks trading and are high probability trading levels where price should reverse its direction. You will want to use these trading levels just like you would with any other support and resistance levels. “Money is made off the Entry of the trade and not the exit. Meaning, have a good entry and you make more MONEY”. So, which Futures are included with the “Support and Resistance Weekly Trade Zones” ? You will get 2 charts for the S&P 500 Emini Futures showing the upcoming weeks Support and Resistance and Market Profile with current Open Gaps & Naked VPOC’s that you can visually see. You will also get the Support and Resistance Trade Zones written out so you can use them with any charting software. Finally if you are a Thinkorswim user we have added a share button so you can download the Weekly Trade Zones directly to your TOS trading charts. We post the Weekly Trade Zones every Sunday evening by 6pm Est in the members section. Just login to the members section to access the Weekly Trade Zones and Charts to get ready for the current trading week. Below are Sample Charts with the Weekly Trade Zones and a link to a sample page of what our members get every weekend. Thank you Daytradingfearless for helping me to become a better S&P emini trader with your trade levels. They are truly a valuable tool in my own trading. NVPOC's (Naked Virgin Points of Control. 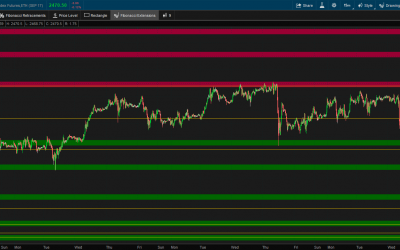 What are the S&P Emini Weekly Trade Zones? These are trading levels of support and resistance for people who either don’t have the time or don’t fully understand how to find support and resistance levels in the S&P emini futures market. These weekly trade zones are also where you can expect price to reverse from its current trend for the S&P 500 Emini Futures (ES). We also plot the current open gaps and naked vpoc levels for you. How much can I expect to make off each trade? The weekly trade zones are meant to be levels of support and resistance and how much the S&P emini’s reverse varies. Some times they will bounce for a couple points and other times will have major reversals. Note: Not all zones will work that’s why we encourage you to always use a stop loss. A good rule of thumb is to put a stop loss 1 point behind the trade zone. (We want to either be right on the trade, or right out of the trade). When are the weekly trade zones Updated? The S&P emini futures weekly trade zones are updated by 6pm EST Sunday evening. Just login to the members section for all the trade zones and charts. Yes, you can use any trading platform or charting package. We give you all the top 4 support and resistance trading levels that you can plot on your own charts. 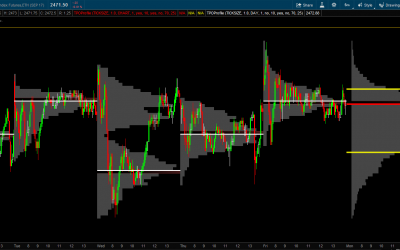 Can I plot the trade zones and levels on Thinkorswim (TOS)? If you use Thinkorswin (TOS) we offer links every weekend that you can open in your Thinkorswim platform and save the weekly trading zones, open gaps and naked VPOC’s to all your charts. It’s really just that simple…. The S&P emini futures weekly trade zones with the open gaps and naked vpoc’s are only $10 per month. I can’t believe they are that inexpensive either.